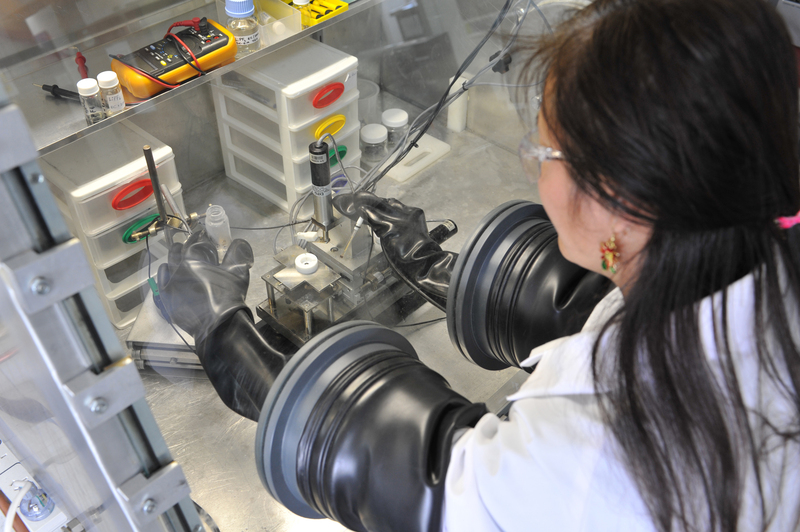 CSIRO scientists, in collaboration with RMIT University and QUT, have demonstrated that pre-treating a battery’s lithium metal electrodes with an electrolyte salt solution extends the battery life and increases performance and safety. The research was published in Nature Communications today. “Our research has shown by pre-treating lithium metal electrodes, we can create batteries with charge efficiency that greatly exceeds standard lithium batteries,” Dr Best said. 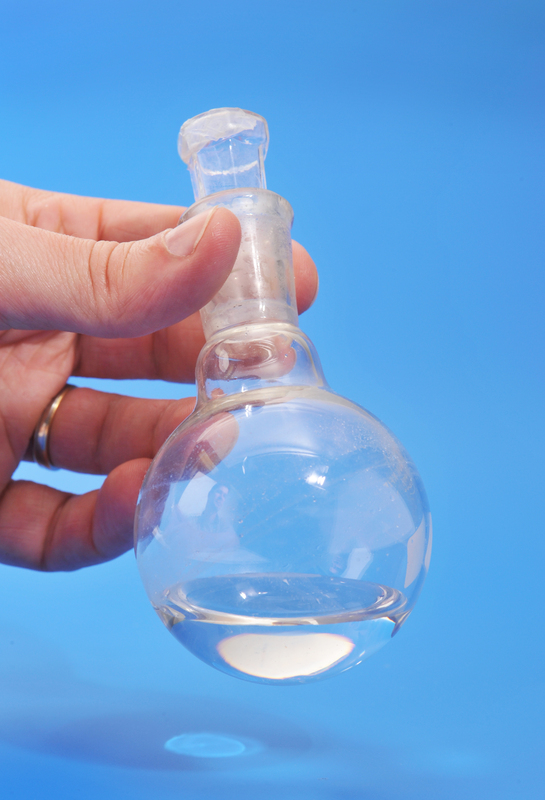 Ionic liquids or room temperature molten salts, are a unique class of material that are clear, colourless, odourless solutions and are non-flammable. When used in batteries these materials can prevent the risk of fire and explosion, a known rechargeable battery issue. “The pre-treatment reduces the breakdown of electrolytes during operation, which is what determines the battery’s increased performance and lifetime,” Dr Best said. QUT researcher Assoc. Prof. Anthony O’Mullane said the method can be easily adopted by manufacturers. “The pre-treatment process is readily transferrable to existing manufacturing processes,” Assoc. Prof. O’Mullane said. 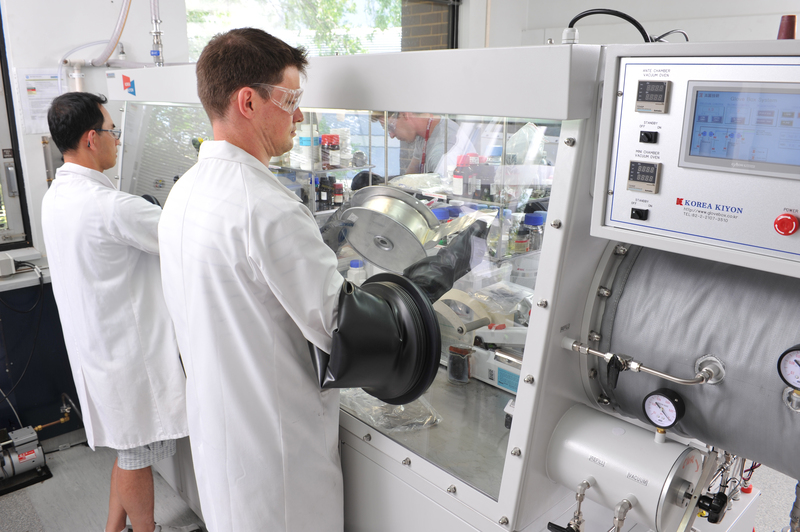 The research formed part of Dr Andrew Basile’s doctoral thesis with RMIT University, working closely with CSIRO scientist Dr Anand Bhatt to investigate battery processes occurring at lithium metal. The team of scientists is currently developing batteries based on this technology, and are looking for partners to help bring these materials and devices to market. You can read complete the Nature Communication paper Stabilizing lithium metal using ionic liquids for long-lived batteries online. Room Temperature Ionic Liquid (RTIL) electrolytes have negative vapour pressure and no boiling point, which significantly reduces the risk of battery fire and explosion. CSIRO, RMIT and Queensland University of Technology are currently working on developing a “salt bath” that stabilise lithium metal foils and increase battery life and performance. The Room Temperature Ionic Liquid (RTIL) electrolytes developed by CSIRO, RMIT and Queensland University of Technology may hold the key to solving electric car “battery range anxiety”.